Stacey is a lifelong Bay Area resident. Born, raised and educated on the Peninsula, she knows first-hand the intricacies and nuances that make up individual Bay Area neighborhoods. She knows the history, growth and market trends of the most sought-after communities in the world; this amazing place that so many people dream of calling home – the San Francisco Bay Area. Stacey knows it intimately. 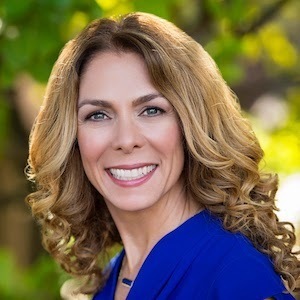 No novice to the real estate industry, Stacey worked in the family business for many years: Diodati Development, Inc. and Diodati Properties, Inc., industry leaders in development and sales of commercial properties throughout the greater Bay Area. Here, she amassed a wealth of industry knowledge and resources, developed her strong organizational skills, and honed her social intelligence prowess. But, it is her keen listening ability and intuitive understanding that sets her apart from everyone else. Stacey can articulate, formulate and implement strategies to help her clients realize their dreams and fulfill their real estate goals. She really gets people. Today, Stacey brings her experience and intrinsic skill set to residential sales, serving Mid-Peninsula buyers and sellers from Burlingame to Los Altos. In addition to her real estate career, Stacey has a family of 6 children (1 still at home), and 2 mini Goldendoodles. She is an active PTA mom, community organizer, and hostess for her husband’s corporate events. A 21st-century businesswoman, Stacey does it all. "Stacey is an incredible Realtor! I worked at MLSListings and knew plenty of Realtors, but I picked Stacey for the following reasons and had a wonderful experience with her: She has excellent negotiation tactics. She is knowledgeable about peninsula neighborhoods that are suitable for a young couple (or any age group really) since she lives nearby in Redwood Shores. She is tech savvy and knows about the latest and greatest tools in real estate. Her vibrant personality makes you feel very welcome and appreciated. " - KRITI R. & AMIT S. (BUYER). "Stacey was great to work with on purchasing our home in Redwood City. We actually first met Stacey nearly a year before we ended up purchasing a home. We were in the early stages of doing research and making the decision to purchase a home. Stacey was great at keeping in touch, through all of our ups and down and changes of mind about the size and location of home we wanted. She was always supportive, and had great inputs on what to look for, schools, neighborhoods and more. As we moved closer to making offers, Stacey was always available to visit homes with us and give us input. Through the offer process, she was essential to the helping us decide how much to offer and making the offer attractive. " - GINA & MIKE K. (BUYER). "We had a great experience working with Stacey in searching and ultimately purchasing our first home in the highly competitive Bay Area market. Stacey is an energetic and responsive RE professional with deep local market knowledge. We'd highly recommend her!" - SUE G. (BUYER). "We have been extremely impressed by the professionalism shown by our agent Stacey Jamison. We wouldn’t have bought our dream house without her diligent work. Stacey knows the market and provides reasonable market comparable. She understands our need and tried best to find the good match from the market. Stacey always presents our offers in person, which I think is very unique and professional. We have been kept informed throughout and the advice was always helpful. I would definitely recommend Stacey to all my friends" - JH C. (BUYER). "I am writing to recommend the efforts of Stacey Diodati-Jamison. Selling my mother's property was an emotional time. The property had been in the family for three generations. At times a few family members became rather trying. Stacey remained calm and level headed, guiding me through the process. The property was sold quickly and for a good price. I highly recommend Stacey Diodati-Jamison. I will always be thankful for Stacey's support and her professional manner." - PEGGY C. (SELLER). "Stacey is quite simply extraordinary along every dimension that matters in selecting a real estate agent. She is smart, responsive, resourceful, organized, and trustworthy. She helped me sell my custom designed home on the Stanford campus. The decision to sell was made quickly and had to be executed within a tight timeline. Stacey coordinated the myriad of players, flawlessly choreographing the stagers, contractor, inspectors, attorneys, and movers. She even showed up to help on the final day of packing. She managed and finalized an incredibly complex closing with precision and equanimity. Finally, Stacey has an uncanny combination of being a tough negotiator when necessary – as well as a skillful collaborator and partner. I cannot imagine a better person to help anyone buy or sell a home…. Oh and she is a genuinely nice person too!" - JAMES P. (SELLER).